In this American pronunciation video I’m trying to stretch words just like American English speakers would do. If you haven’t got a clue as to what I’m talking about here, head straight to YouTube and watch a couple of videos where American English speakers speak – President Obama would be a good example – and you’ll definitely notice there’s a specific intonation to their speech. Of course, I’m not claiming to have mastered the native-like American accent by 100%, but personally I’m quite pleased with the way I sound and I think I’ve successfully applied ‘stretching’ on my American English speech. 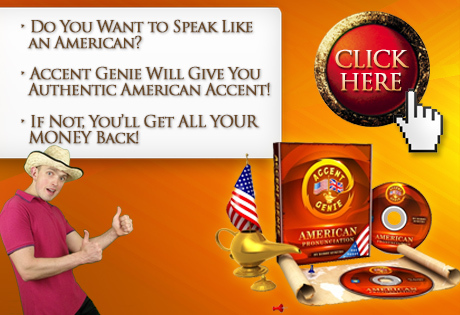 I’ll let you be the judge of it, however, so please don’t hesitate to post comments below and let me know what you think about my American accent! Next post: Your English Pronunciation Doesn’t Have to Be Perfect to INSPIRE & HELP Others!